h.arta, the alternative space we are running, needs every year an accountant report. h.arta is a very small institution and has no budget, so we cannot afford to pay an accountant. Every year we are asking an accountant we know to help us with the paper work without being paid and she is very nice and helps us each time. 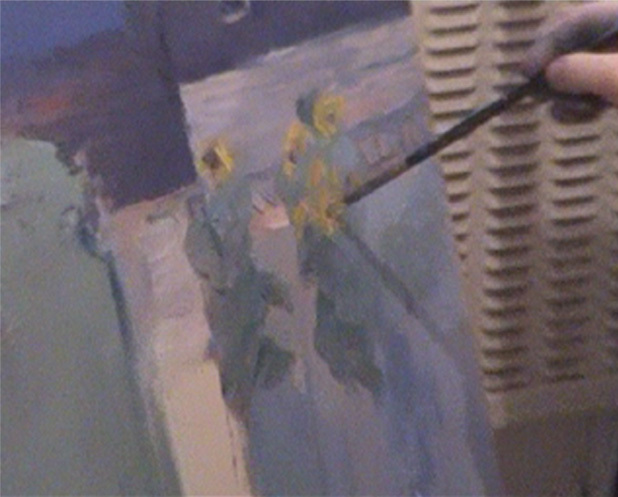 This video shows us preparing a gift for her, a painting with flowers (her favorite kind of image). The painting is an approximate copy of a Monet canvas, with lots of yellow sunflowers and a blue sky and it is the subject of one of the stories about the ways we have to improvise in order to sustain h.arta. 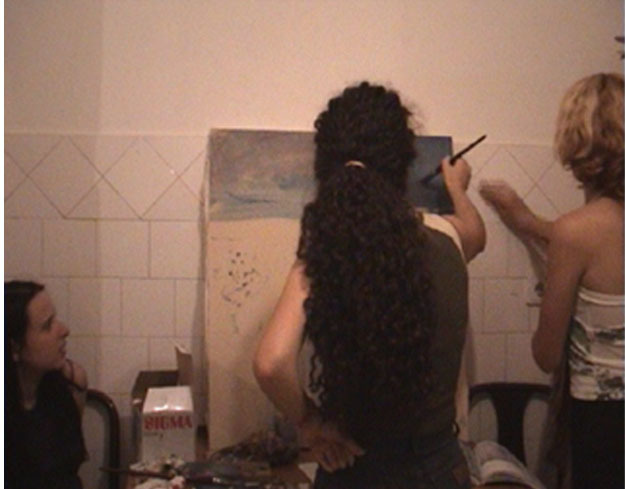 Even more, the painting is, of course, a symbol of our “skills and knowledge”, of the things we were trained for as artists, a symbol of what is expected of us.